Chicken tikka masala on a taco? You can get it here. A lot of people take food way too seriously, and, I admit, I can be one of those people too. But I also think food can and should be fun, even if it is a total departure from the whatever people who use the word “authentic” think it should be. 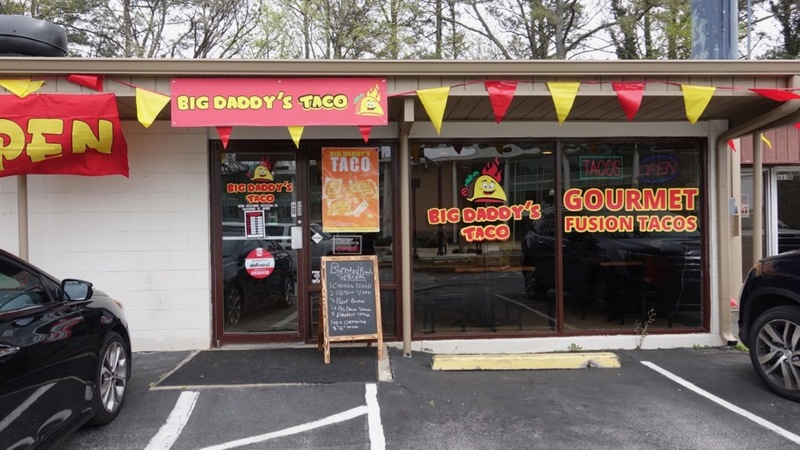 You won’t find “authentic” tacos at Big Daddy’s Taco in Chamblee, but this little spot is pure fun. Owners Jay Patel and Nazmul Hossain met as students at Georgia State University and have been good friends ever since. The pair opened the restaurant in January in a nondescript building on Chamblee Dunwoody Road, just across from Chamblee Charter High School. 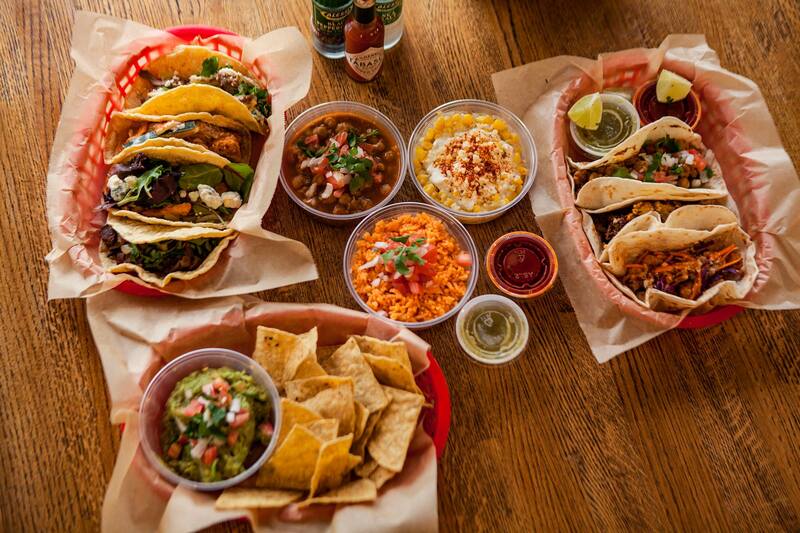 Photo courtesy of Big Daddy's Taco. The premise of the restaurant is self-described as fusion, but these flavor combinations are not found in your average tacos. Think of your favorite flour or corn tortillas stuffed with chicken tikka masala or chana masala (Indian stewed chickpeas). Since the owners’ families hail from Bangladesh and India, many of the fillings and sides are inspired by their countries. However, the menu spans the globe, with fillings from other places like Middle Eastern falafel or the very American Buffalo chicken tacos. As a Mexican, I take my tortillas seriously and really hate it when they arrive cold, under-steamed, or over-steamed to the point that they fall apart. The tortillas I’ve had here, however, have been heated until they are just pliable enough for rolling, yet still sturdy. I was initially surprised how well the Indian and Middle Eastern flavors worked with the traditionally Mexican wraps. But, when I thought about it, Mexican and the Middle Eastern, Indian, and Bangladeshi cuisines share many common ingredients—stewed lamb, grilled meats, cilantro, an abundance of cucumbers, etc. So, when I bit into a tender lamb taco topped with cucumber wedges and a yogurt sauce inside of a corn tortilla, it somehow all made sense. I also liked how the sides like Mexican rice were bright red with tomato, but also extremely buttery and reminiscent of Persian rice. 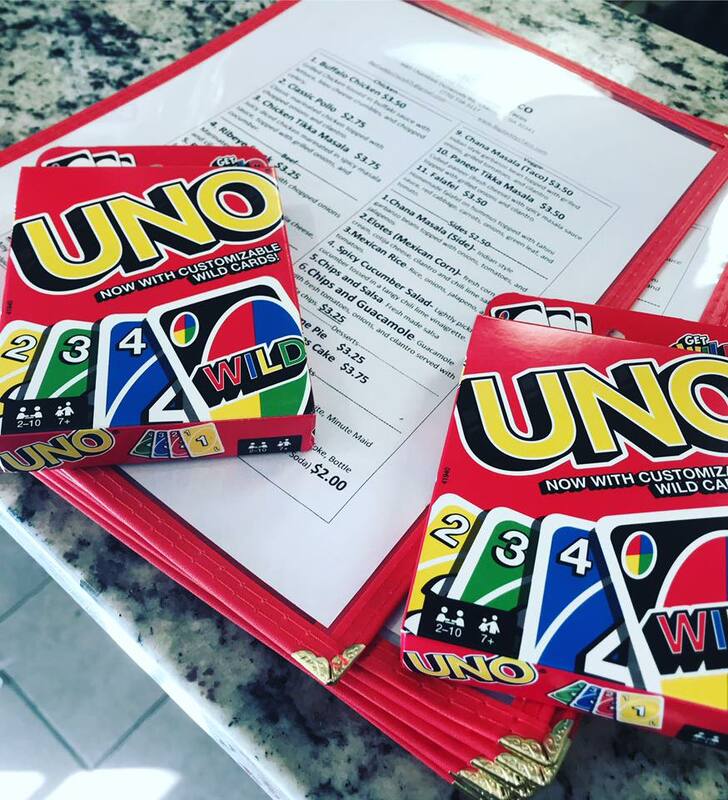 Uno and tacos are always a great combination.